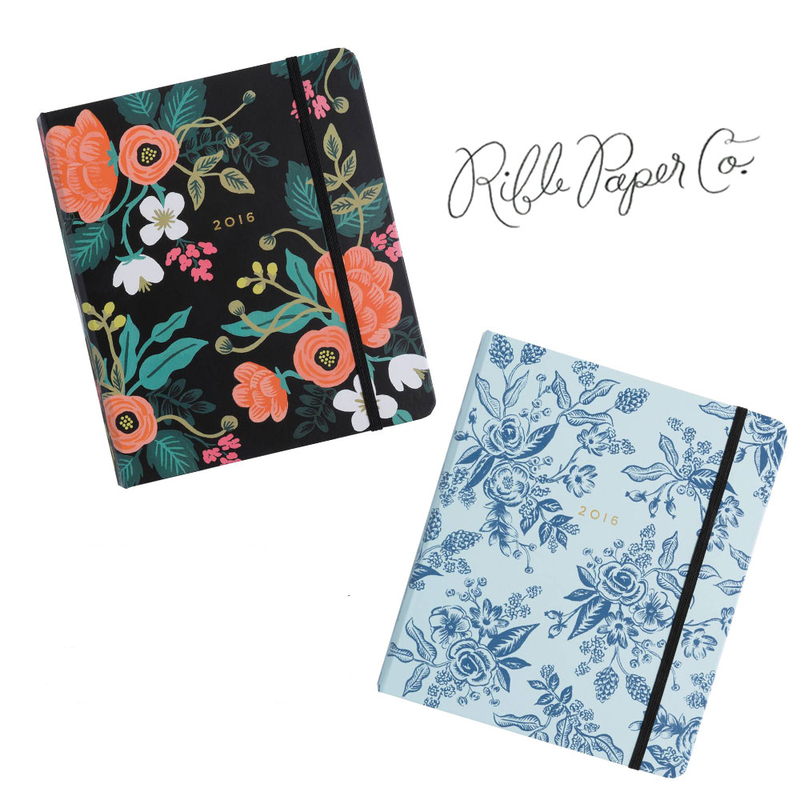 Rifle Paper Co. 2016 planners are finally available to order! 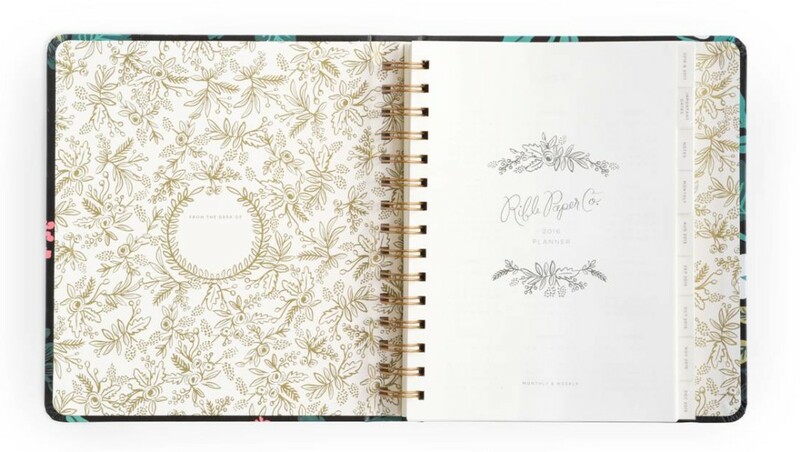 They are available in two beautiful covers and come with gold foil accents. 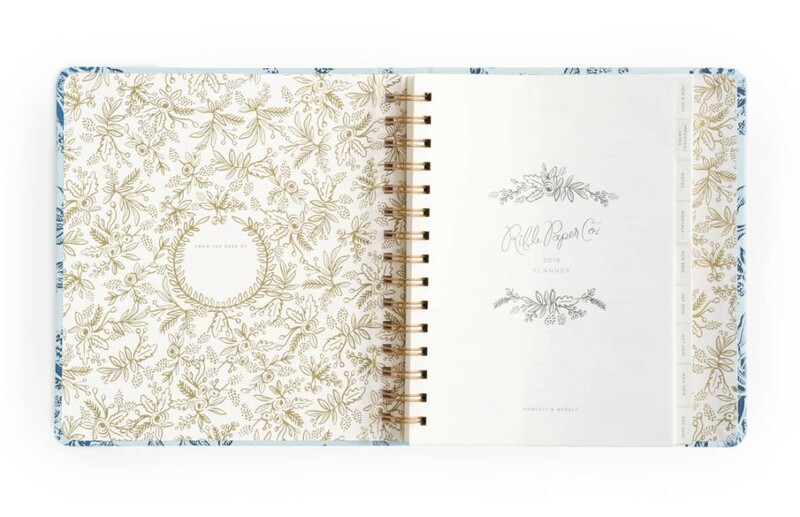 Click here to order your Rifle Paper Co. 2016 planner today! 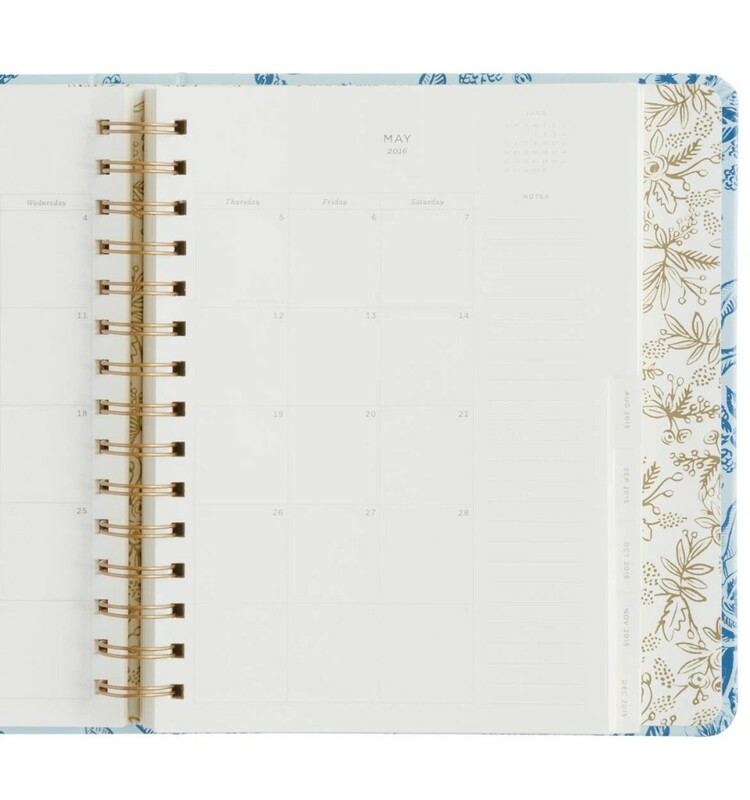 17-month planner available in two cover styles and at 6 3/4″ x 8 1/4″ it’s perfectly sized to be both functional and convenient to carry around! 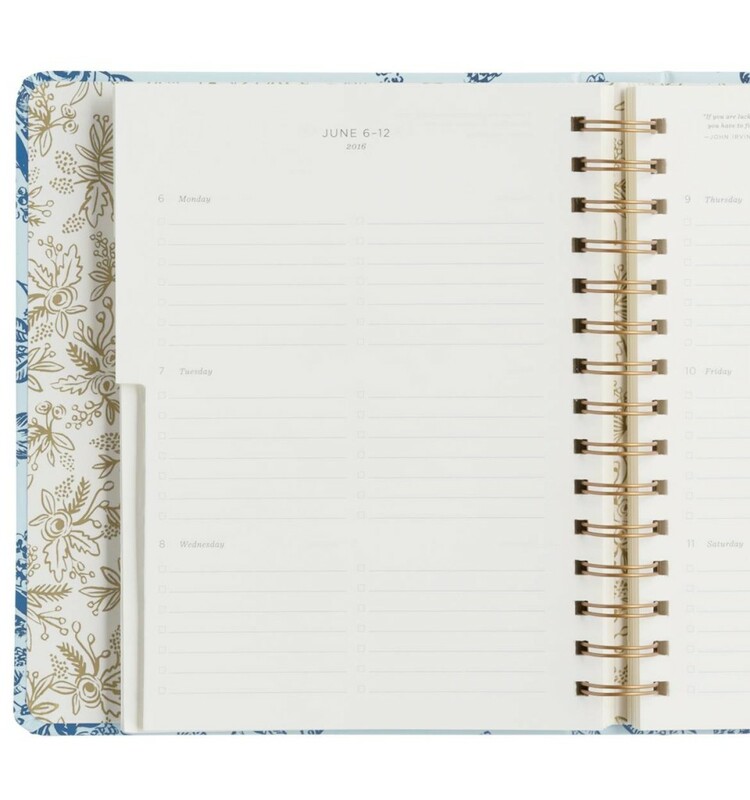 Metallic gold accents, pocket folder with ruler, and inspirational quotes throughout. 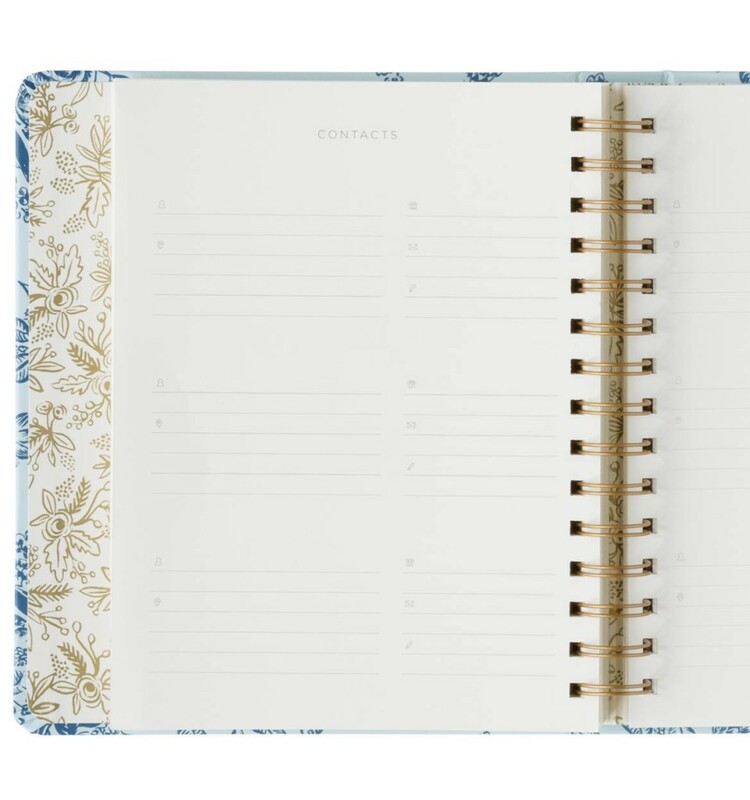 Sections for weekly and monthly plans, yearly overviews, holidays, special occasions, notes, celebrations, and important contacts. 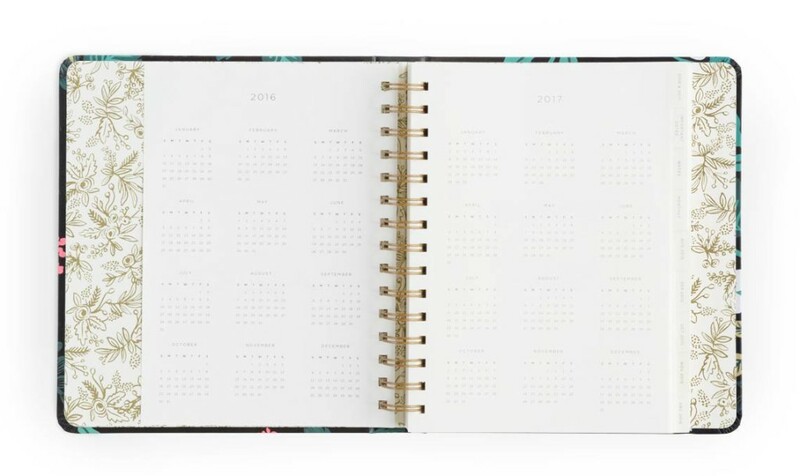 Covered spiral bound with elastic closure and coated tabs.